Boston: David R. Godine, 1983. Price-clipped DW; illustrated end-papers; Overall, a most acceptable copy of this early novel by the prolific British author. 192pp.. First U.S. Edition. Hard Cover. Near Fine/Near Fine -- Price-Clipped. NY: Doubleday, 1991. in printed blue wraps with publication sticker attached to front panel. The advance uncorrected proof copy of the first U.S. edition of the third and final book in the author's Cairo Trilogy.. NF. London: HAKLUYT Society, 1893. Rebound in recent grey buckram, stamped in gold. Bright, tight copy. 259 pages + a three-page correction of an earlier book + 16 pages of Notes from the Society including past publications. . First Edition. Hard Cover. Near Fine/No Jacket. 8vo - over 7¾" - 9¾" tall. NY: Dial Press, 1998. 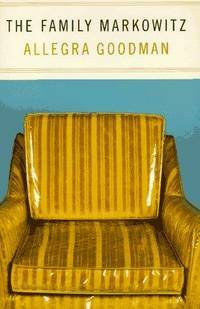 The first edition of this, the author's highly-acclaimed third book which was shortlisted for the National Book Award.. First Edition. Hard Cover. Near Fine/Near Fine. PA: Franklin Library, 1992. Bound in blue leather stamped in gold. All edges gilt. The true first edition of this, the author's fifth book. Nominated for the National Book Award in year of publication. Beautiful copy with blurb sheet present. SIGNED on a tipped-in sheet by the author.. Signed, Limited. First Edition. Hard Cover. Fine/No Jacket. New York, NY, U.S.A.: W. W. Norton & Company, Incorporated, 1989. 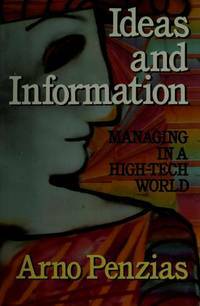 The Third Printing of this title that is subtitled Managing in a High-Tech World. Signed on the ffep. by Penzias (he is a Nobel Prize winner for his work in Radio Wave Technology). . Signed by Author. Third Printing. Hard Cover. Near Fine/Near Fine. NY: Harper & Row, 1972. Fine in Near Fine dustwrapper. The first edition (stated) of this 46th book in the publisher's World Perspectives series. Stated as the author's first book. Warmly INSCRIBED and SIGNED by the famous physicist-biologist and developer of the Salk anti-polio vaccine.. Inscribed and Signed By Artist. First Edition. Hard Cover. Near Fine/Near Fine. NY, 1965. Previous owner's neat small decorative stamp on half-title (not un- attractive). Sub-titled "Hemingway All the Way". Pub. by Putnam. 1st edition.. First Edition. Hard Cover. Near Fine/Near Fine. NY: FSG, 1996. Beautiful, tight clean copy of the author's scarce second book. 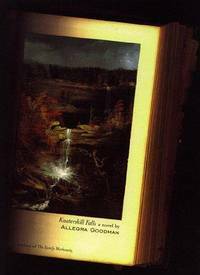 Ms. Goodman was shortlisted for The National Book Award in 1998.. First Edition. Hard Cover. Fine/Fine. NY: Viking, 1947. 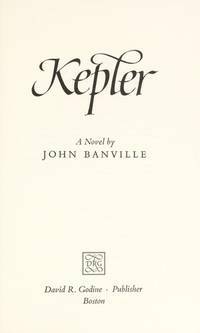 The first edition of this early novel in an above-average dustwrapper that shows a hint of edgewear and uniform darkening. This spartanly produced dustwrapper is notorious for all types of flaws. . First Edition. Hard Cover. Near Fine/VG+.